Above Right. Mytilene, 1932. 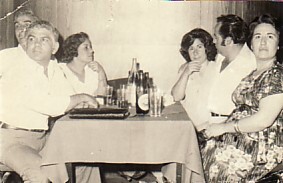 A group of Vassilikians. 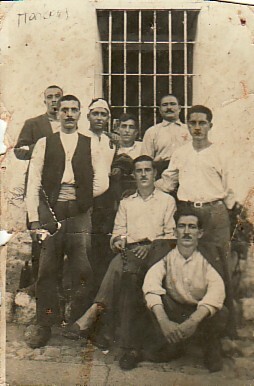 My father, Dimitrios, is standing third from left, while his brother, Prokopios, is standing first from right. 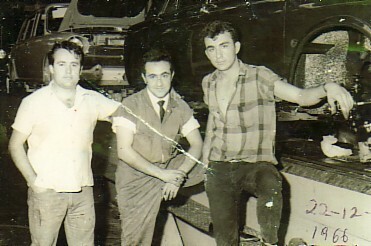 Above: My brother, Georgios (left) and me. 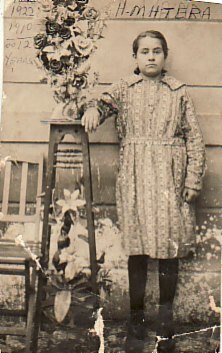 c1952. Above Middle: With friends. 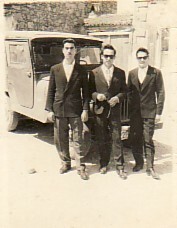 L-R: Parthenis Alanis, myself and Nikolaos Kaniamos. Above Right: Athens. 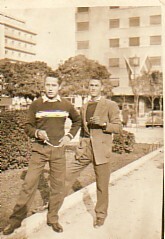 With Nikolaos Kalogirou (right). I lived in Athens since I was fourteen years old. 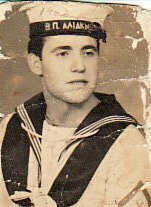 Above: A portrait in the Navy. Above Right: With my fiance, Evlotina Agritou. 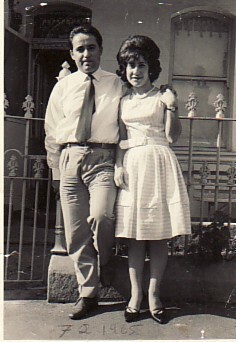 This photograph was taken only hours after I arrived in Sydney. Above: Two photographs of where I worked over the years. On the left, I am working at British Motor Company- better known as 'Morris'- and I am on the left. 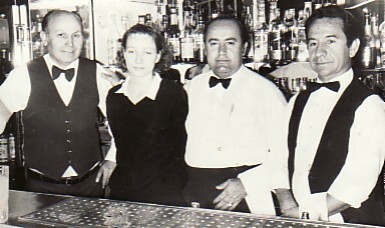 On the right, I am working as a waiter at the Sydney Olympic Club. I am second from the right. 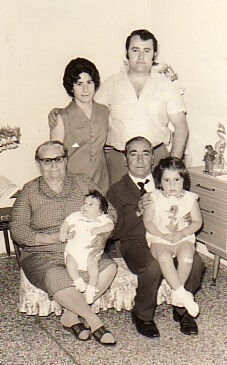 Above: With my wife, Evlotina, our children, Vasiliki and Dimitrios, and my aprents, Dimitrios and Vasiliki. Above Right: Out in Athens at the Tsitsifoes Night Club. L-R: My brothers-in-law, Efstratios Pandelis and Georgios Arhonditsis; my sister, Artemis; my wife, Evlotina; myself; and my sister, Ekaterina.